Have a budding astronaut? 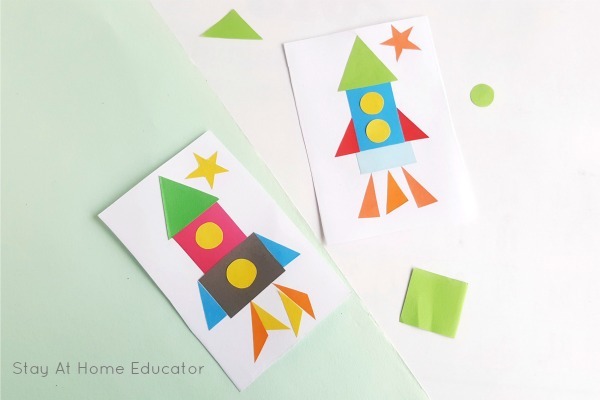 This rocket ship craft is just for them and it teaches shapes and early geometry concepts, too! 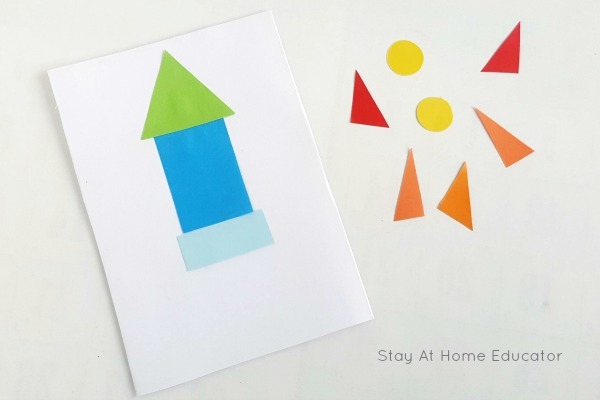 And be sure to grab your FREE PRINTABLE rocket ship shape template at the end of the post! My two preschool ages sons are fascinated by outer space. The other night, at the dinner table, my four-year-old came up with a riddle for us to solve. Did you guess it? The moon! We also spend a lot of time blasting off to do things. Everything my boys do is “as fast as the fastest rocket ship”! Except for things like putting on their shoes, of course. If you have a young astronaut or aerospace engineer, they are going to love this spacecraft that also teaches shapes. This outer space craft is a super fun way to introduce preschoolers to beginning geometry concepts. At the preschool age, geometry is about learning shapes, as well as manipulating them, which is exactly what happens with this craft. Print the free template on colorful paper, making a handful of copies of the template. Print each copy in a different color. The more colors the more fun, in my opinion! 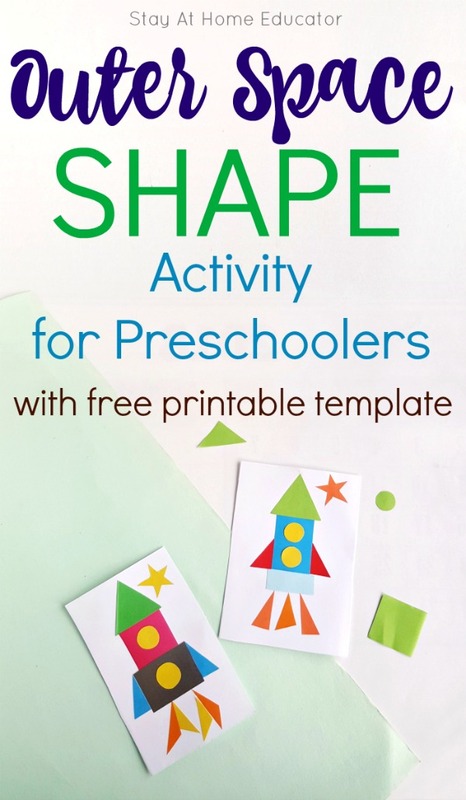 Now, given that there is a lot of cutting involved, you may need to help your preschooler cut out the shapes. That’s what I did. My boys started to get a little frustrated (really frustrated, in fact), so I finished cutting out the shapes myself. Since I wanted this to be a good lesson in shapes, I didn’t want to wear out their interest. 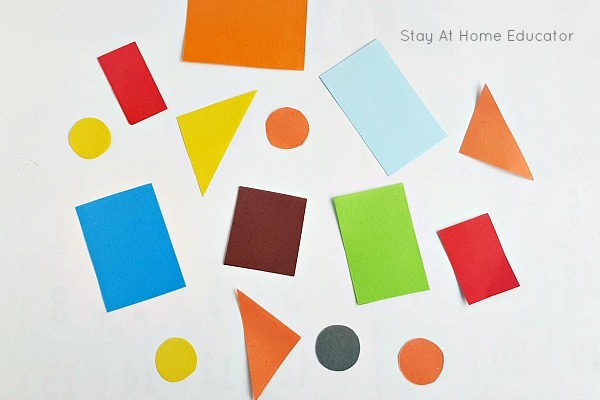 Lay the colorful shapes on a tray with a glue stick and invite your preschooler to come and build a rocket ship! The first thing I always do with activities like these is just let my boys experiment with the shapes without gluing. I knew they would immediately start gluing the shapes in random places all over their paper, which is fine, but I wanted to encourage them to talk with me about the shapes. So, first, we just played. Here are some questions you can ask your preschooler to get them talking about the shapes. What can you make with these shapes? How can you use these shapes to make other shapes? Can you find different sizes of the same shapes? How many colors are you using? Try to keep the questions open-ended so your preschooler will have to think about their responses. This is an important piece in learning activities, especially in math. I like to call it “math talk” and it’s a fantastic way for preschoolers to work through what they are learning. After a little play, I invited my boys to build a space rocket with their shapes. Math talk during the creating process is also really important. I questioned them about what they were making and why they were making the choices they were. Is your spaceship going to be long and tall or small and wide? What shapes will you use the make it ___? How many colors are you using for your rocket ship? What shape will you use for the top of your space rocket? Spaceships have fire during blastoff. How will you use the shapes to make fire? Bonus points if you set out a few space books about rocketships for your preschooler to refer to. It’s important to note that while a rocket ship craft like this one has a desired outcome, it is perfectly okay for your preschooler not to make his rocket ship look like a traditional one. 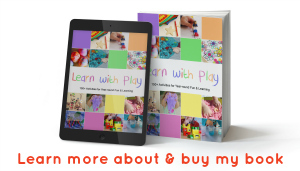 The learning comes from the process of moving and manipulating the pieces, as well as the mathematical talk you engage your child in. Just like the stages of writing where preschoolers move through a series of stages where their writing doesn’t look like yours or mine, it still holds meaning to the child who “wrote” it. The same is true for this craft. The end result may not look like your rocket craft, but your preschooler will still identify it as such. Or…you preschooler might also tell you to move along and he might create a firetruck instead. That’s ok, too. Also note that in projects like this it’s important to allow your preschooler to “make mistakes”. He might experiment and use a triangle that is too small for the top of the rocket. Let him put it there anyway, and if it doesn’t work for him let him glue a different triangle over the top. These decisions are important for preschoolers to make and it is evidence that they are working through the processes of basic geometry skills. Early geometry skills include spatial awareness. How pieces work together and fit together. How they compare. 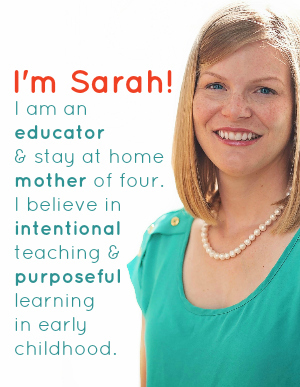 You can ask your preschooler about these things, too! 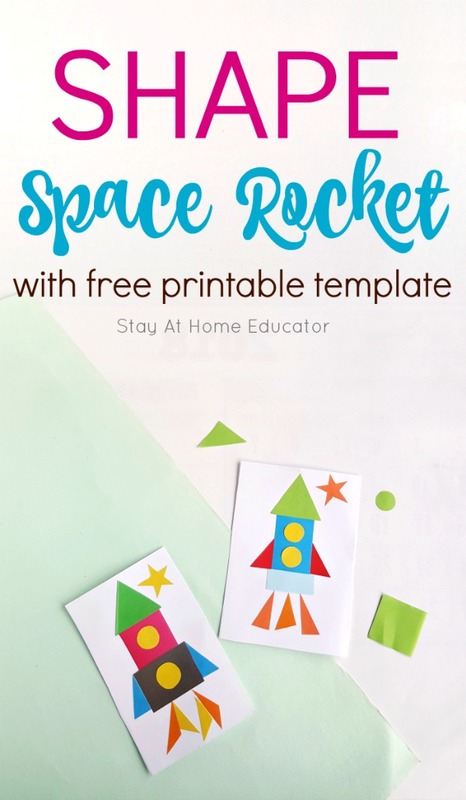 Don’t forget to grab your FREE printable rocket ship craft template below! Want the FREE Rocket Craft Template? 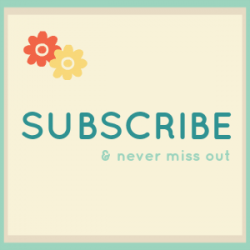 Just click the image below to grab it! 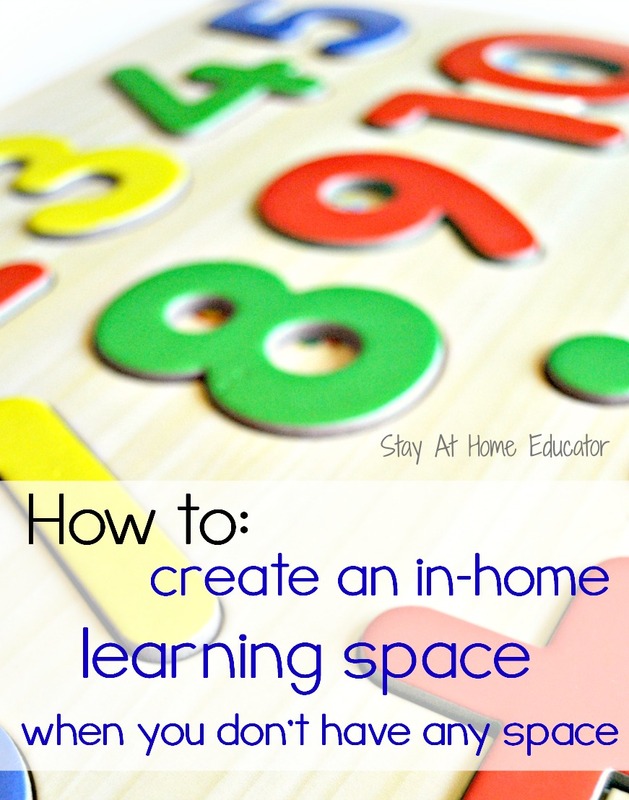 You can add this craft to your art or math centers! 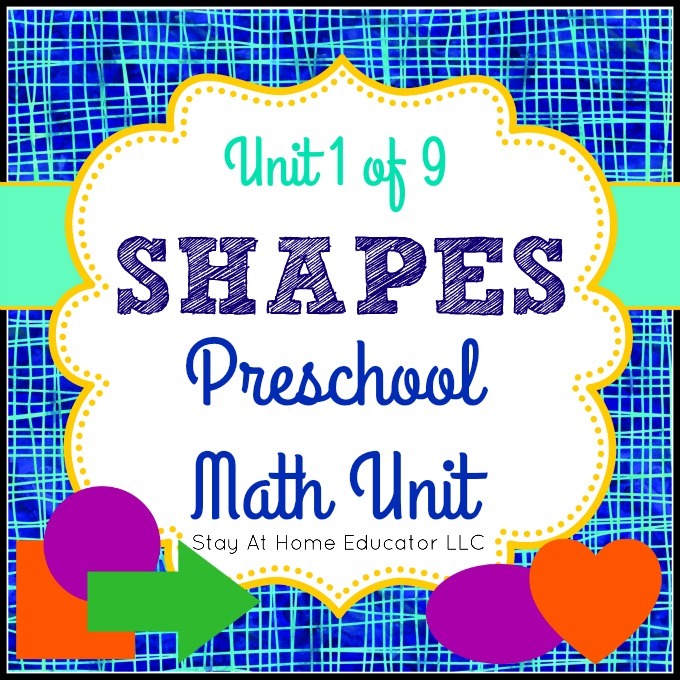 Looking for More Shape and Geometry Activities? Then take a look at some of these.